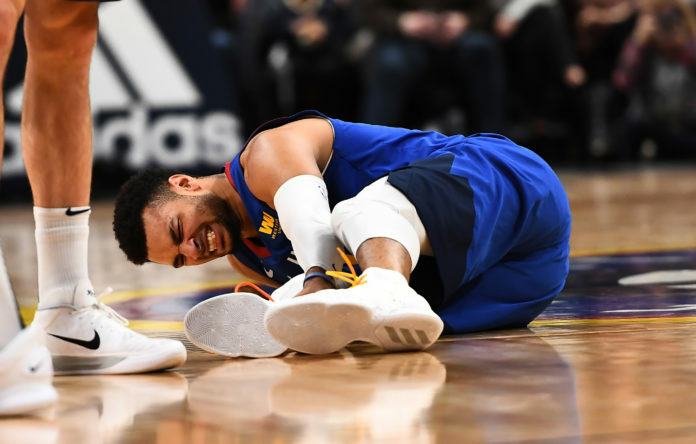 Whenever Jamal Murray is listed on a Denver Nuggets injury report, the common thought process is that he will find a way to play through it. Murray is one of the most mentally tough individuals in the entirety of the NBA and he simply does not miss games. During his rookie season, Murray played all 82 games with not one, but two sports hernias. Now a sprained left ankle had led to Murray missing four-straight games including Denver’s Friday night matchup with the Houston Rockets. Naturally, the immediate response to Murray missing an extended amount of time is to worry. 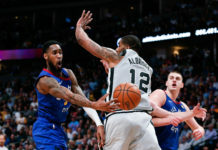 Murray, who was active in 210 of his first 211 NBA games prior to his ankle sprain — only missing a single game because he was in a mandatory concussion protocol — is now shutdown for an undetermined amount of time and Nuggets head coach Michael Malone is worried. When Malone is verbally willing to discuss his worry when it comes to Murray’s ankle, that should not be taken lightly. Malone is infamously vague in his press conferences and does not usually go into detail when it comes to players ailments, but when Murray became the topic of conversation, he was surprisingly candid. 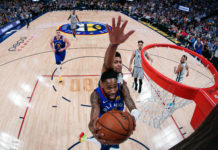 Malone is now trying to deal with a balancing act between trying to get his incredibly tough starting point guard back on the floor, but also making sure that he is healthy enough to be effective and productive for the surging Nuggets. “We have 32 games to go so it is a fine line of wanting our guys back because we have seven games left going into the break, but you also want guys to be healthy so we can finish up the stretch run,” Malone explained. What is making Malone’s decision making process easier is that even Murray understands that he is not physically able to help right now. Murray has never been a player who admits that injuries can slow him. Murray has even taken that mindset to the extreme of saying that he actually plays better while hurt. Unfortunately, this sprained ankle is a different beast and Murray knows it. Neither the Nuggets or Malone shed light on how long Murray could be out. 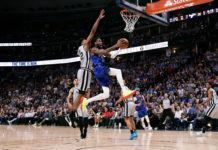 Malone did say that he hoped that Murray could return for the Nuggets road trip starting Saturday night for the second night of a back-to-back in Minnesota against the Timberwolves, but that is a best-case scenario. Regardless of what happens, Malone still believes that Murray will bounce back from this injury and help Denver to the payoffs. The only issue is that no one really knows when that could be. “I definitely have concern with Jamal’s ankle, but I know that he will come back when he is ready and he will help us out moving forward,” Malone said.